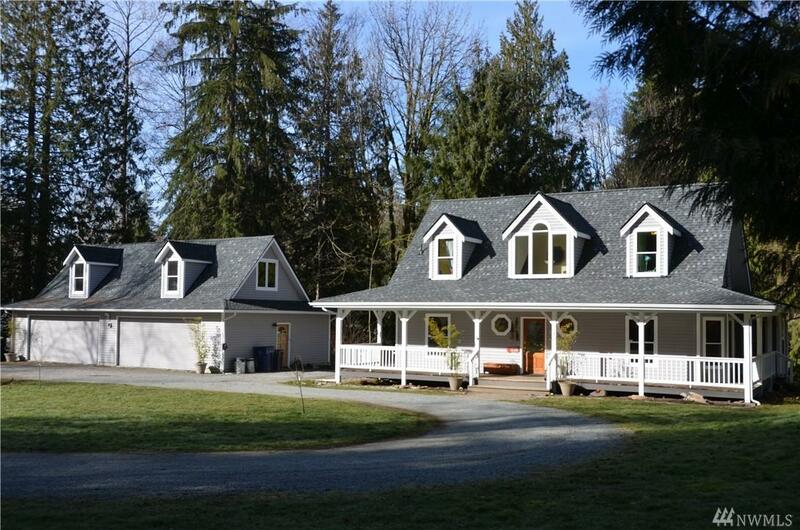 Quiet, secluded home in a forested setting, 7+ Acres. 3 stall cedar barn, H/C water, approx. 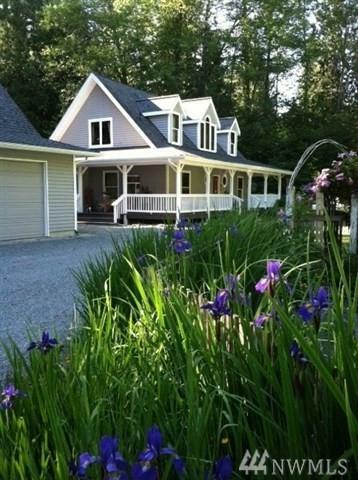 4 ac of fenced pastures, miles of trails at nearby Pilchuck Tree Farm. 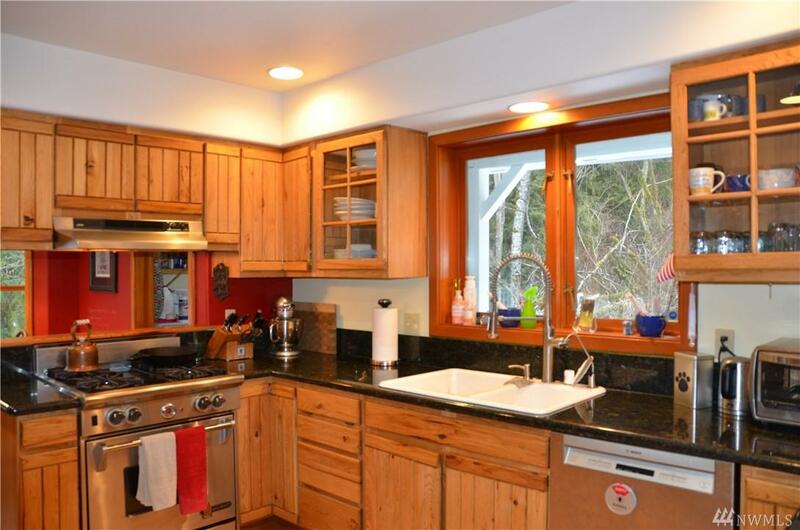 Bright, custom home with vaulted ceilings, hickory cabinets, granite, stainless, chef's range, radiant heat, new carpet and paint, updated guest bath, deck. Finished basement has bonus room and workroom/storage area. 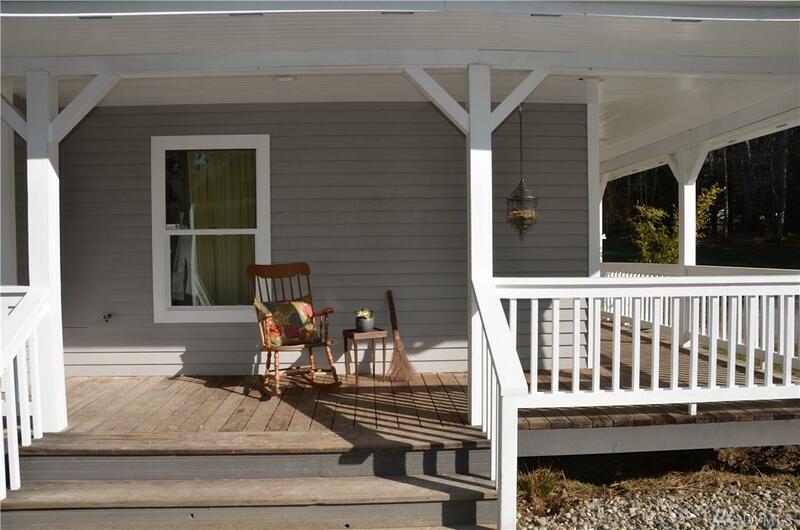 Master bedroom with 5 piece bathroom, deck access and walk in closet. Detached 4 Car garage w/ bonus area above.